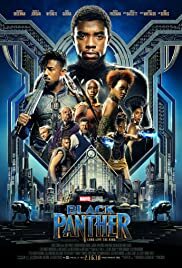 The consensus about Black Panther based on the reviews I’ve read, reactions I’ve heard, and conveniently the critic’s summary on Rotten Tomatoes, is that this film “elevates superhero cinema to thrilling new heights”. To put it differently, Black Panther is more a drama that happens to have superheroes in it rather than a superhero movie that is filled with drama. And I have to say I agree with that sentiment. Let me start by saying, Black Panther is a great film and it is a film that all people from all walks of life can relate to and enjoy on many levels. I would be burying the lede, however, to ignore the fact that it is significantly more important for black people to see people like themselves commanding the screen as T’Challa (Chadwick Boseman), Nakia (Lupita Nyong’o), Shuri (Letitia Wright), and the rest of the cast do. And that is important, full stop. Black Panther is in it’s fourth weekend of release and still the theater was almost packed. You could tell the most enthusiastic were the many families with children, all cheering and applauding throughout the film and at the end credits. But here is the thing - even though this is a story involving a monarchy, an advanced civilization with superior technology, and CIA/superhero/not-your-average-citizen people doing semi-out of this world things, doesn’t mean there isn’t something for everyone to relate to. And that gets me back to the first point I had. Black Panther really isn’t a superhero film. It is, but it also really isn’t. The monarchy and rule of T’Chaka, passed on to his son T’Challa (Boseman), and what he does to protect his people of Wakanda is the real film here. The hidden civilization and origins are fantasy, the advanced technology is science-fiction. Conflict between T’Challa and the outsider N’Jadaka (Michael B. Jordan) is classic good vs. evil tropes brought to a head with duels to determine a winner. There are many other reviewers and writers who have done a much better job than I could ever do at elucidating the many many pros of this film. From all-around stellar performances by the entire cast, to the cinematography, costumes, visuals, and pretty much all the other technical areas. But despite all this, I do have one critique of the film, which is story-based. Still, it impacts the story enough for me, though not in a major way, that I find it deducts a star. I wholly acknowledge that this could only be a “me” thing and my desire to know the intricacies behind how the sausage is made. In the other Earth-based Marvel films, technology and culture are pretty self-explanatory. Thor isn’t on Earth but the whole first third of that film was backstory about Asgard and how things worked in that world. And Guardians of the Galaxy didn’t have as much background explanation as I would’ve hoped for, but it seems less important there because it is completely new. Wakanda is still on Earth, it’s a country in Africa so how they fit in is more important because I want to know how that world works. The Guardians gives you the bare minimum of “Ooo, alien-based society, how does X work… oh wait, Peter Quill and company are doing something to distract me”. All-in-all, Black Panther is a must see, and seeing it on a large screen has many advantages. The sets, locations, and action take full use of the screen real estate and while Netflix will suffice for repeat viewings, a theater really is the way to go for the first-run experience. Despite my desire for more backstory in this origin story, there is still a lot here to process. The entire cast is phenomenal and Ryan Coogler is certainly now on my list of must-see filmmakers (he also directed the phenomenal Fruitvale Station, also starring Michael B. Jordan).